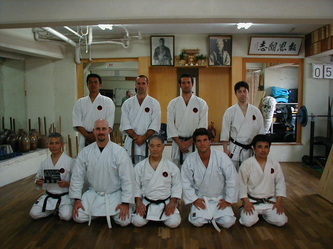 On the 20. to 25. 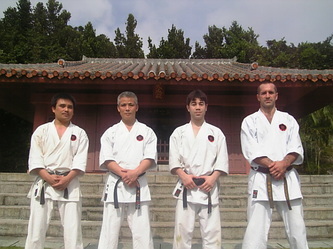 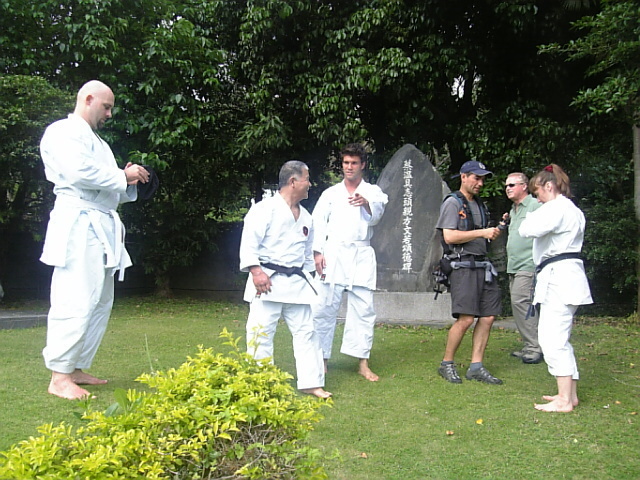 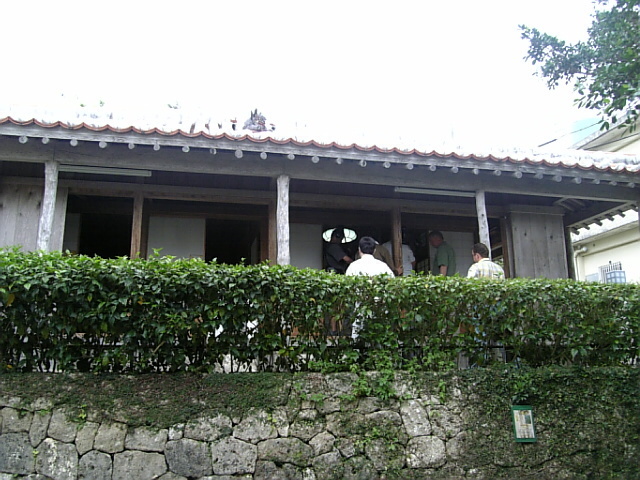 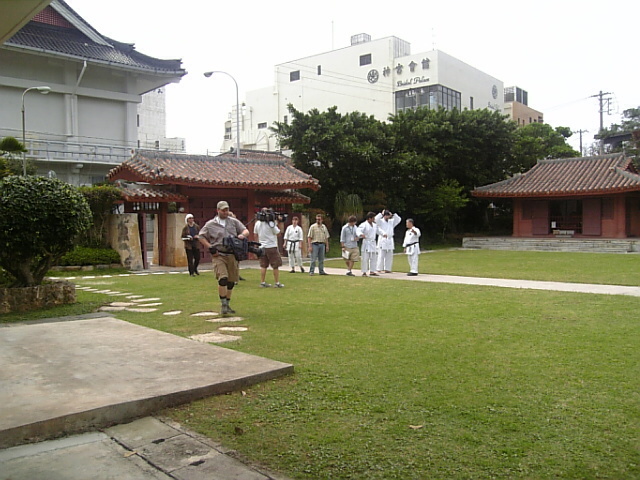 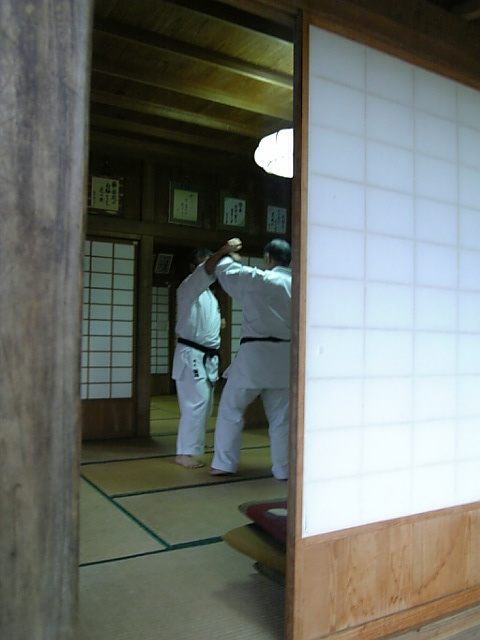 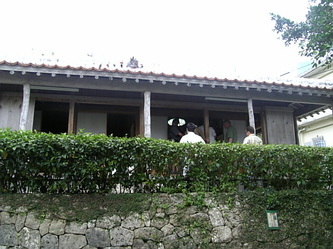 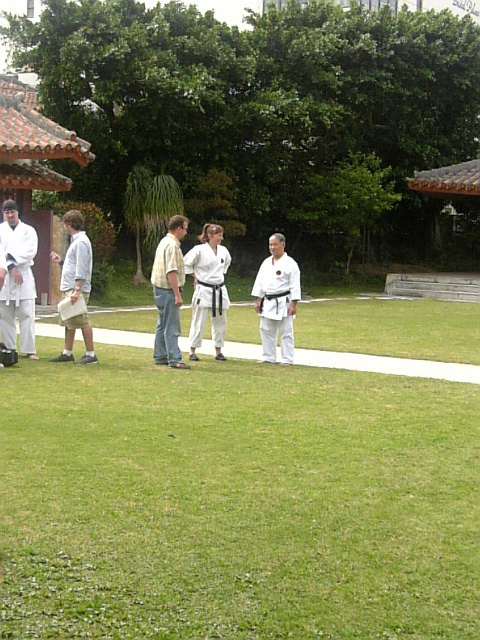 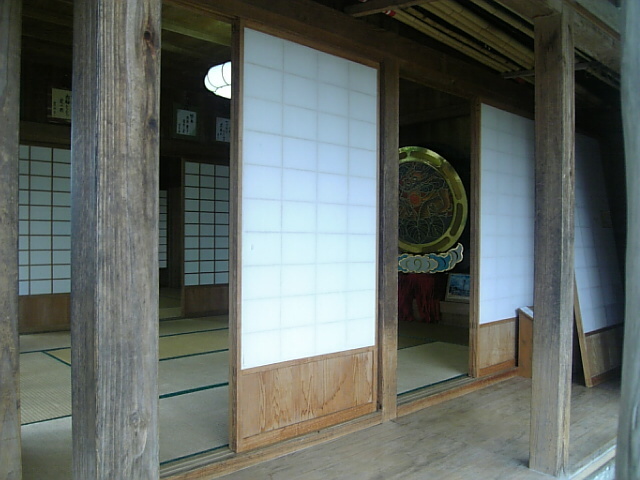 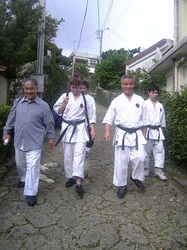 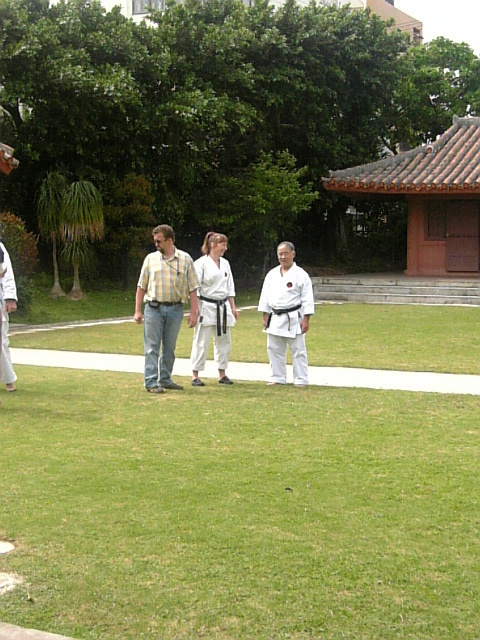 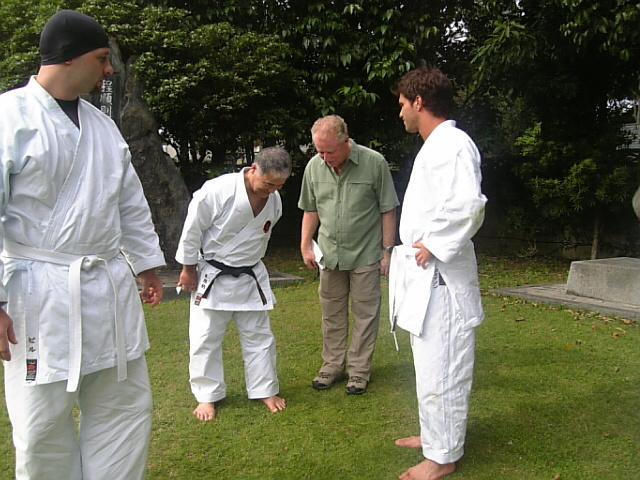 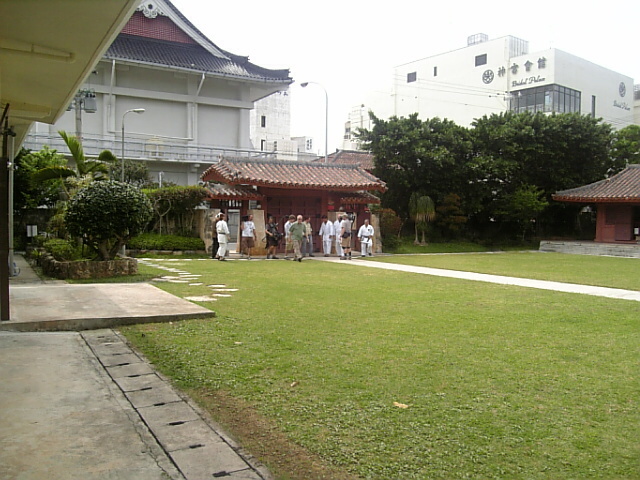 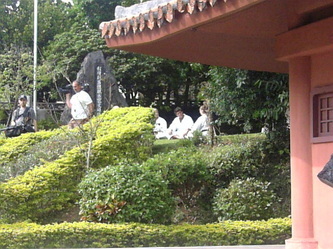 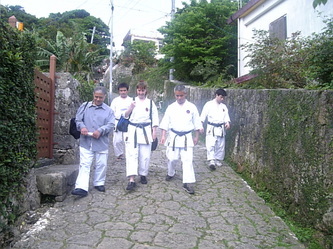 March 2007 a television crew of the History Channel arrived in Okinawa to produce a documentary about traditional Okinawa karate. 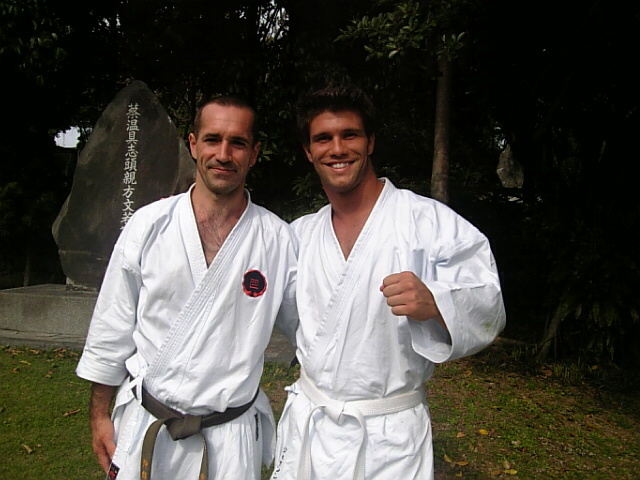 The program, "Human Weapon", based on a simple story in which two American actors (Bill Duff and Jason Chambers, experts in martial arts) decided to research Karate styles of Okinawa for the first time. 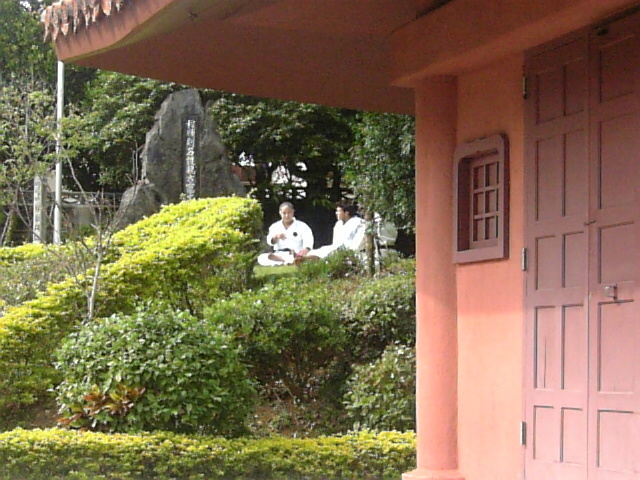 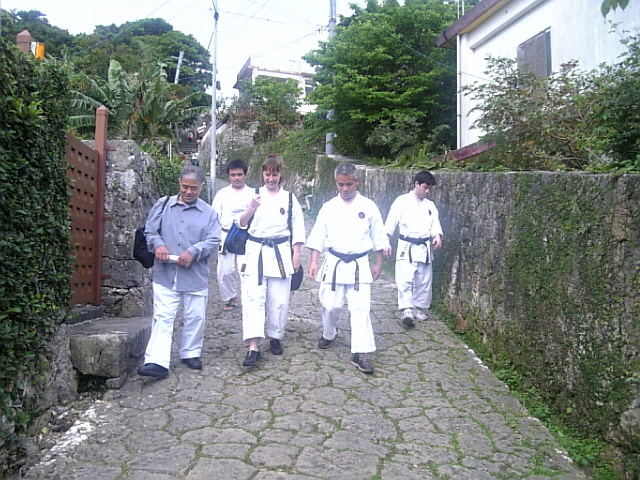 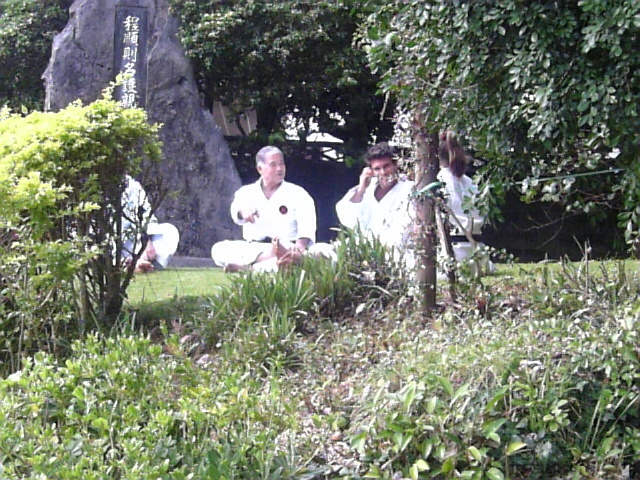 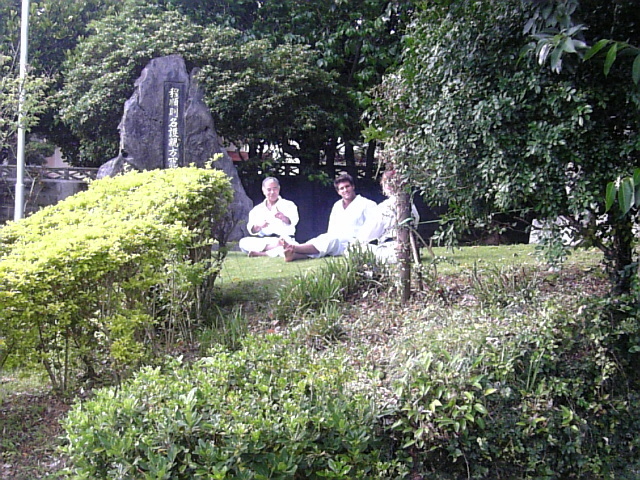 Shorin-Ryu, Uechi-Ryu and lastly Goju-Ryu at Higaonna Sensei's dojo, where they practiced breathing exercises, hojo-undo, personal defense techniques and finaly the study of vital points. 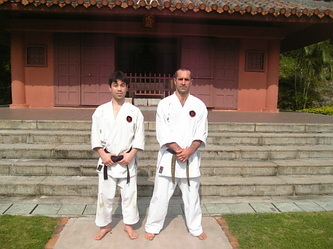 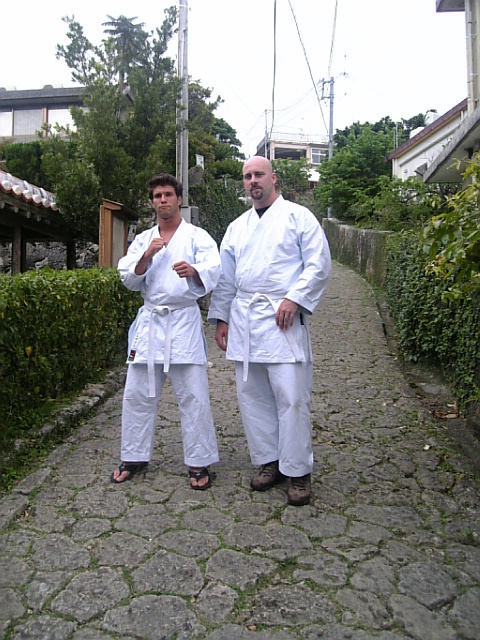 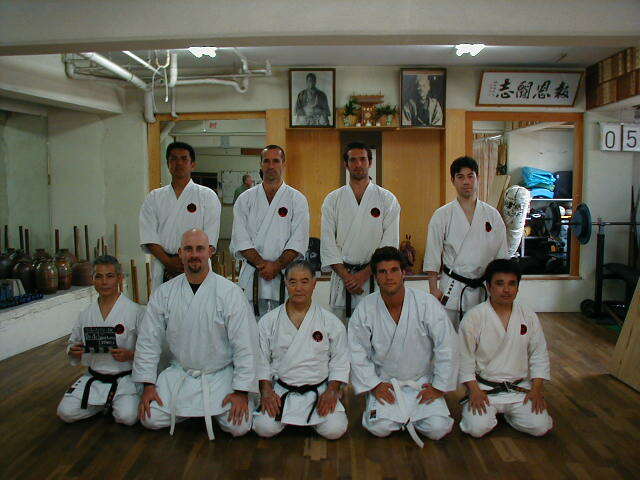 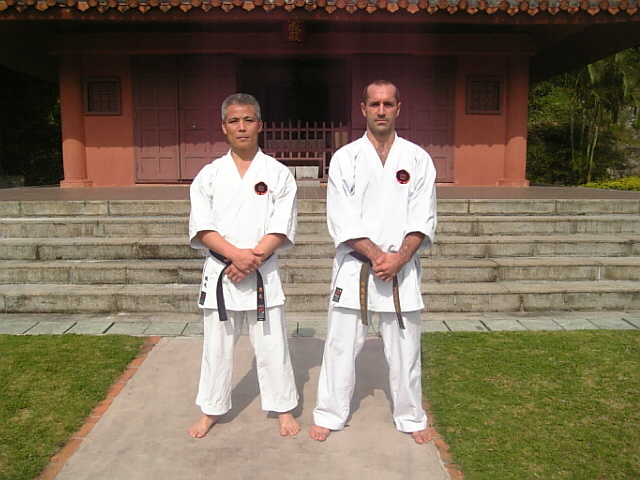 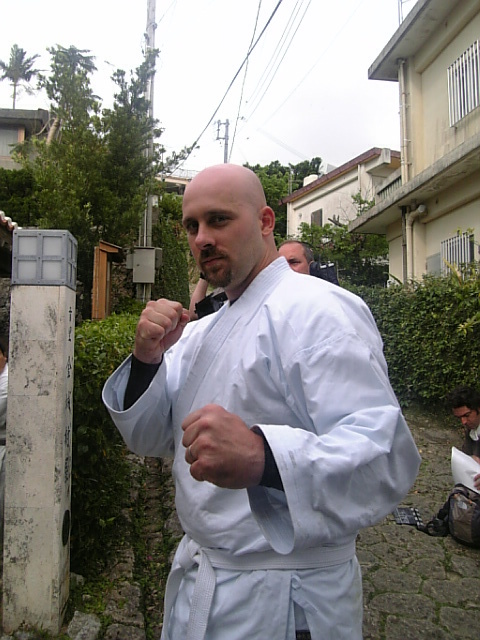 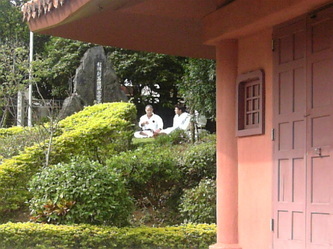 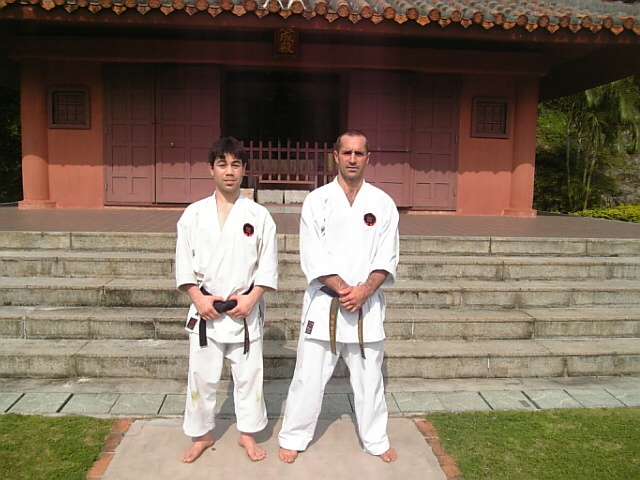 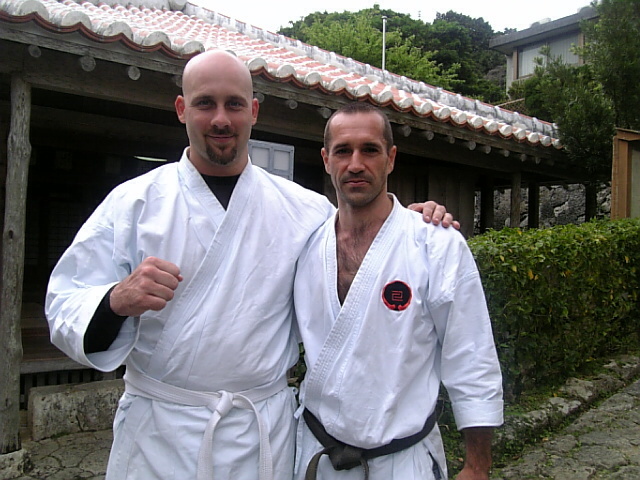 On the final day of their adventure, Bill Duff competed in a Kyokushin kumite contest at the Budokan in Naha.